The world remembers Elie Wiesel-Nobel laureate, activist, and author of more than forty books, including Oprah's Book Club selection Night-as a great humanist. He passed away in July 2016. 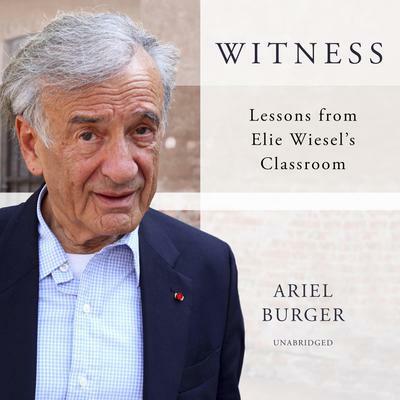 In this profoundly hopeful, thought-provoking, and inspiring book, Burger takes us into Elie Wiesel's classroom, where the art of listening and storytelling conspire to keep memory alive. As Wiesel's teaching assistant, Burger gives us a front-row seat witnessing these remarkable exchanges in and out of the classroom. The act of listening, of sharing these stories, makes of us, the listeners, witnesses.